It was weird being there. The venue was lovely, the tables set simply with poinsettias surrounded by flickering tea lights. 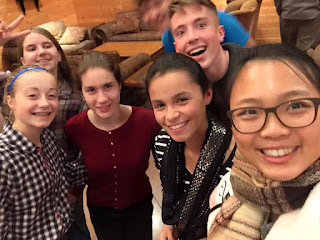 Parents mingled, team members clustered together reveling in inside jokes, and coaches worked hard at getting the necessary technology to cooperate. Acknowledgements were made of the successful season, highlights and challenges scripted for the audience. The tradition of awarding each runner a frame-worthy certificate for a unique quality or incident was again a crowd-pleasing event. different. I was merely an invited guest watching from the periphery, not the head coach as in past years. I felt distant, out of place, irrelevant. 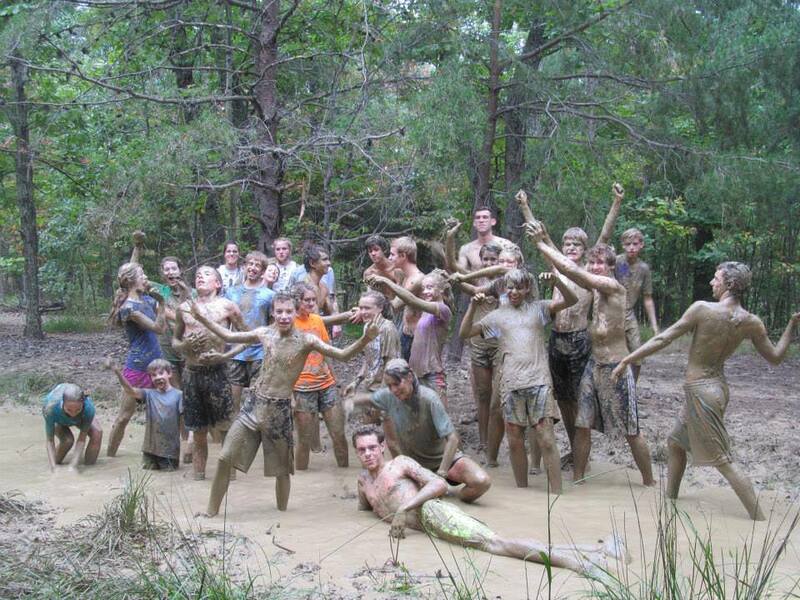 big mountains and the mud? You bet! Do I miss all of this now that I'm not coaching? Yes! Or maybe I mean no. Coaching was anything but easy. So, I don't know. Maybe it's a little bit of both. Certainly, life circumstances make it logistically impossible to coach in my present situation. But I feel a little lost, a little displaced. When I was coaching, I felt as though I had impact on my team (and hope it was largely positive). To be honest, now I feel rather useless, like ornamental parsley on a dinner plate. Gone are the day-to-day relationships I cherished and thrill of seeing kids find fun in the run, many launching their journeys into life-long running. Perhaps my nickname should be abbreviated from "Coach T" to simply "T"; the coach part no longer applies. So, who am I? What is my worth, my purpose? I've been here before, a bit confused about my station in life. When I left after nearly 25 years as a cardiovascular perfusionist, it was like cutting off an arm. I loved that life and was well-respected and good at what I did. 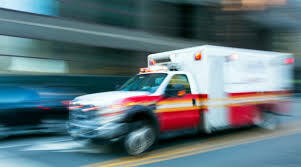 But when the operating door shut behind me for the last time, I felt like my life-blood had poured out onto the floor and washed down the drain. It took a while for a new identity to take hold. Now I am at the same crossroad; the need to re-evaluate and re-organize is upon me. I am a Christian wife and mother. That has not changed. God wired me as an athlete who continues to train and compete. That has not changed. But I can longer call myself a day-in, day-out teacher of students. I can no longer list "coach" on my resume. That last one hurts the most. I admire coaches. I understand the mission and ministry a great coach can have to their athletes. Now working within the context of FCA (Fellowship of Christian Athletes), I suppose that's why it is my deepest pleasure and desire to support, encourage, and give coaches the tools they need to become even stronger in their roles. But in doing so, I am a little jealous because I can no longer speak from current experience. Life is about choices and I am confident in the choices I have made. Perhaps I am simply trying to sort out the wide range of emotions now that I am not the leader of the pack; now that I have no team to call my own. 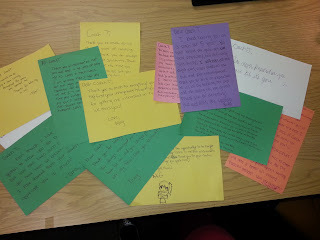 So it was with the greatest joy (and surprise) that I scanned the letters penned on colorful construction paper. "My" team - more accurately, the team I coached for the last five years, through the summer heat, and through the pre-season training this year - took the time to write notes to me back in September. Chris, the coach who stepped up to run in my shoes, graced me with these letters a few days following the banquet. I really needed that and am forever thankful. Thank you, kids, for loving me through thick and thin. Thank you for being such a great team. Thank you for granting me the privilege to coach. You will always have a very special place in my heart. Run silent, run deep. Run long, run strong. Banquet pictures taken by Heather Hu. I tore open the envelope from my dear Mother. She loves the mail and has always kept rolls of stamps and stacks of envelopes at the ready. 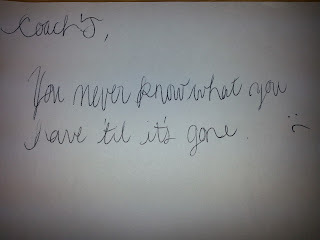 Sometimes it's an encouraging note or a particularly interesting article she discovered. But this time it was a newpaper article from my home town paper. 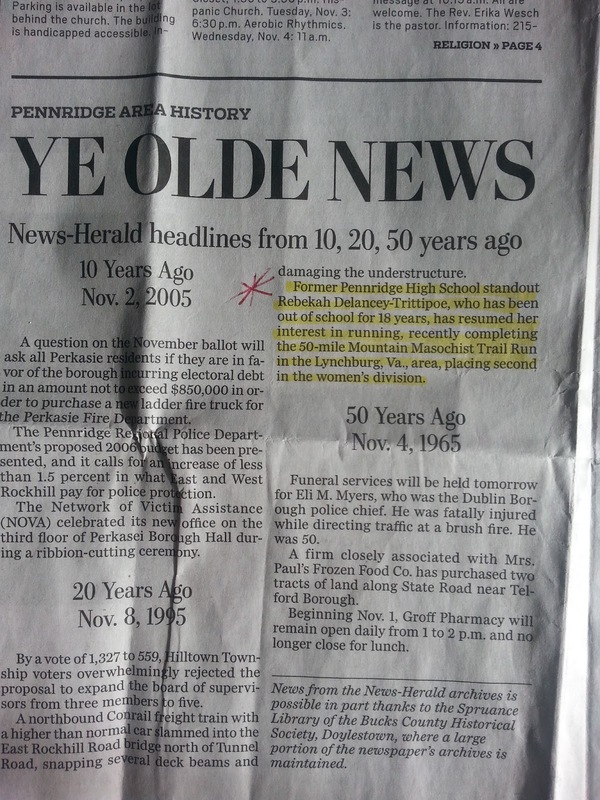 The NewHerald has always had a knack for proclaiming the news, big and small, in and around Perkasie, Pennsylvania, a small hamlet 40-some miles north of Philly. One popular feature is "Ye Olde News," printing recaps of what made headlines 10, 20, and even 50 years ago. Imagine her surprise (and mine as well), as an article dated November 8, 1995 described my first Mountain Masochist Trail Run. 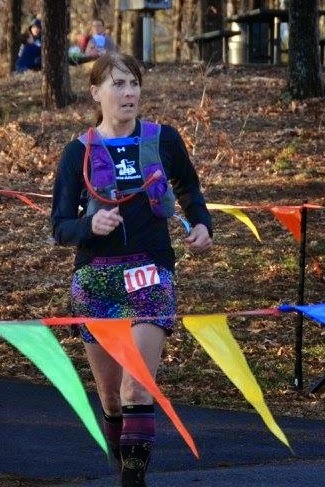 I came in second behind ultrastar Janice Anderson in my inaugural attempt at the 50-mile distance. But that was then. This is now. Yesterday I completed my 18th MMTR. The course has changed over the years as well as the faces. The age of most ultrarunners back in the day was probably north of 35. I was 38 in 1995 and was one of the young ones. But not anymore. There are multitudes of college students and 20-somethings. Runners in their 30's have been at it for ten or more years. But are they fast? Yep. Or maybe it's that I am so much slower. My time this weekend was about two hours slower than in 1995. But it was 3 hours slower than the fastest time I ever ran. Yikes. I could take a really long nap in that amount of time. Or maybe I could get four loads of wash and clean the house in those two or three hours. A lot has changed. Back then I was racing hard, my crew zipping me through aid stations and giving me updates on the nearest competitors. Now I run to finish. Now I run as a "TrailMama" to five college girls in their inaugural 50-miler. Our unlikely group enjoys being together. 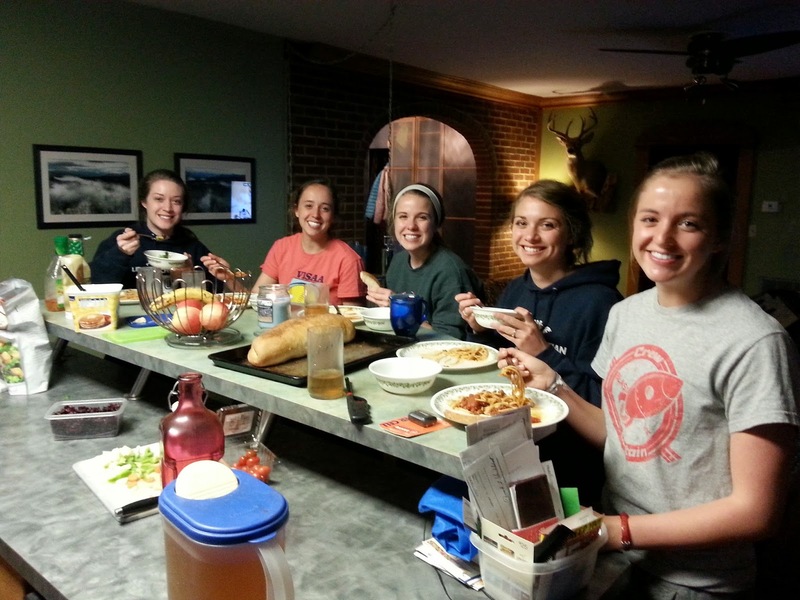 Night runs, pizza making, clothes swapping, watching episodes of "Fixer-Upper," and training trips to the mountains knit us together. It started out with a coach-athlete relationship when they were in high school and I was their leader. But time went by, they grew up, and a love for the siren song of the woodland drew us together. 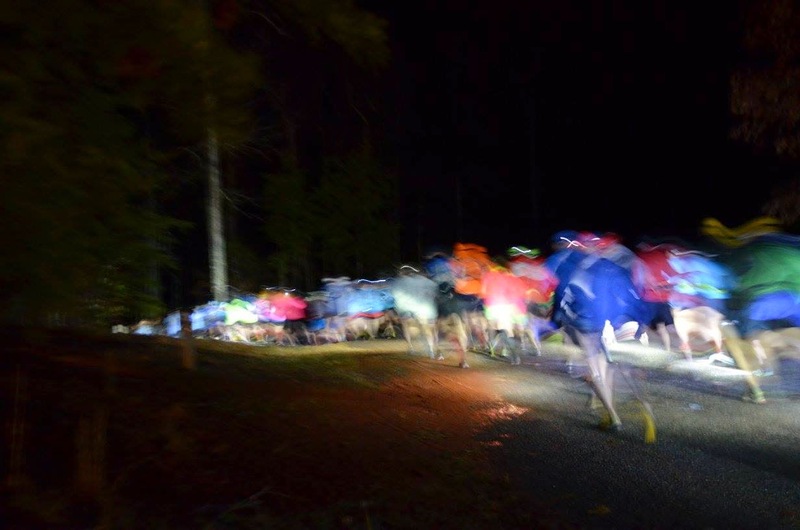 From the starting line, we ran into the darkness punctuated only by runners' headlamps. 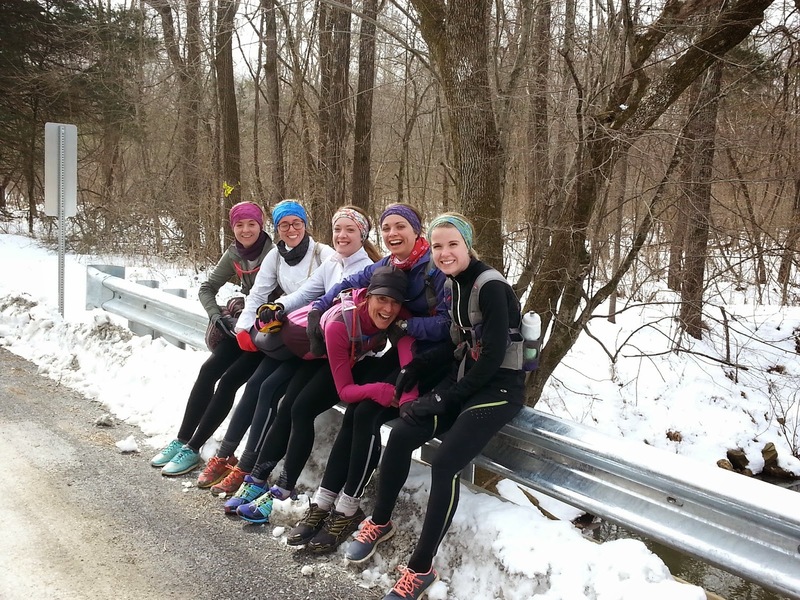 We were a cohesive group, chatting easily, and taking great joy in proclaiming "Girl train coming through on your left" as we flew by slower moving runners on a downhill portion. Sometime later, Rebecca dropped back, slowed by a hip issue. Her sister Caroline ran on with us, deciding to unselfishly wait for her sister at the next aid station. They ended up withdrawing from the race when the pain would not abate and time cutoffs became the enemy. Prior to the race we had discussed the wisdom of pact-making to stay together. 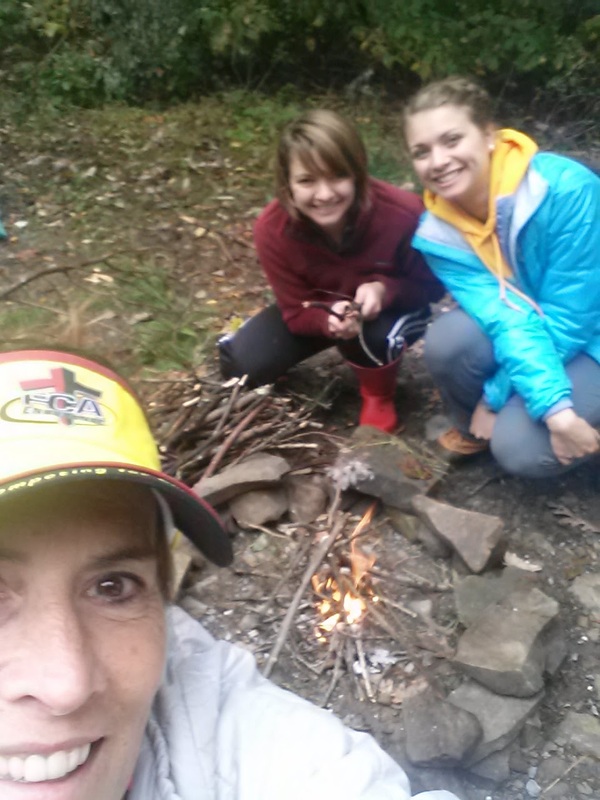 Experiencing the journey as one group held promise of life-time memory making. On the other hand, one can never predict a bad patch or alternatively, feeling gloriously strong and swift. Staying together come whatever could result in no one finishing. Having two comrades exit the fray, the goal had to become getting everyone else to the finish line. But in doing so, each individual needed to run their own race. For many miles we ran in concert, sometimes chatty and other times lost in our private thoughts. On the unseasonably warm and humid day, I struggled with cramping for about 25 miles. The result was an inability to push hard and run aggressively. Drinking copious amounts of electrolyte drink, salty broth, and munching on pretzels eventually eased the seizing muscles. At one point Nicole took advantage of feeling good and pulled ahead on the trek up the mountain. I followed, catching her again in about five miles. Abby and Kendal caught up by mile 41. But gone was the happy-go-lucky approach. We were all pushing the cut-off times, left to run the remaining miles under great distress. To come this far and not complete the race within the required time would be devastating. Nicole voiced the pressure. "Coach T. Can you tell me a story to distract me. This is not fun anymore. I'm at my emotional end." Abby surged, the catecholamine rush sending her into overdrive. Nicole and Kendal fell in behind me as we rushed down the trail and up the next steep hill. But Kendal fell further behind as we pushed onward. We worried about her but at this point, we all had responsibility to get ourselves to the finish. With desperate prayers for any muscle cramping to be held at bay, Nic and I drove on, flying past the last aid station. After the umpteenth time calculation to confirm our status, it became clear we would make it by a decent margin. Still, the 3.8 miles to the finish was taking its toll. Glancing backwards, there was still no sign of Kendal. I prayed she not lose hope. Kendal's parents were waiting at the last turn. "Where is she?" "Back there. She can still make it. Tell her to hang on!" A few minutes later, we crossed the finish line with 15 minutes to spare. Abby had finished a few minutes earlier. Nicole sobbed out of exhaustion on her Dad's shoulder. I turned to pick up my finisher's shirt, and then heard the loud proclamation. 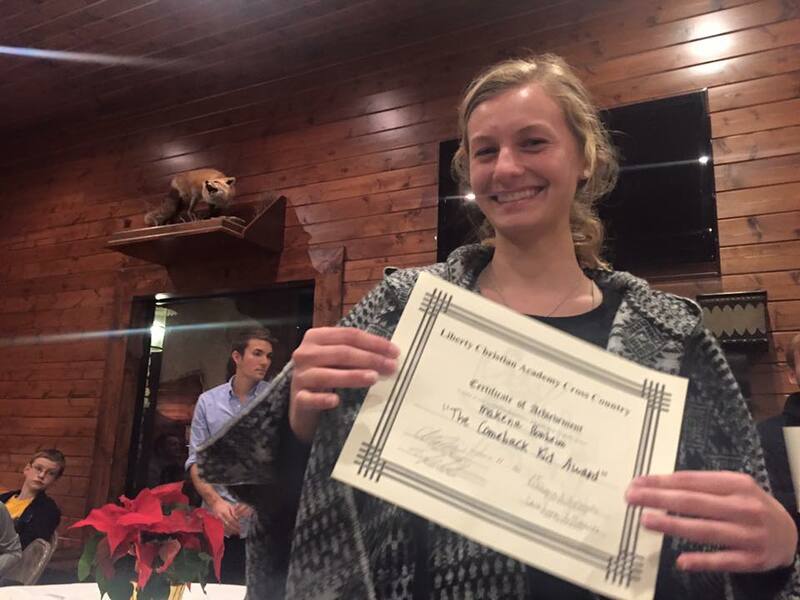 "And now finishing, Kendal Ryle!" Kendal had faltered on the climbs but spurred on by the deep desire of a timely finish, did not give up hope. Rather, she accepted the inevitable agony that comes with the quad-crushing 3-mile assault off the mountain. I breathed a sigh of relief before hugging her neck. Three of my charges did it. 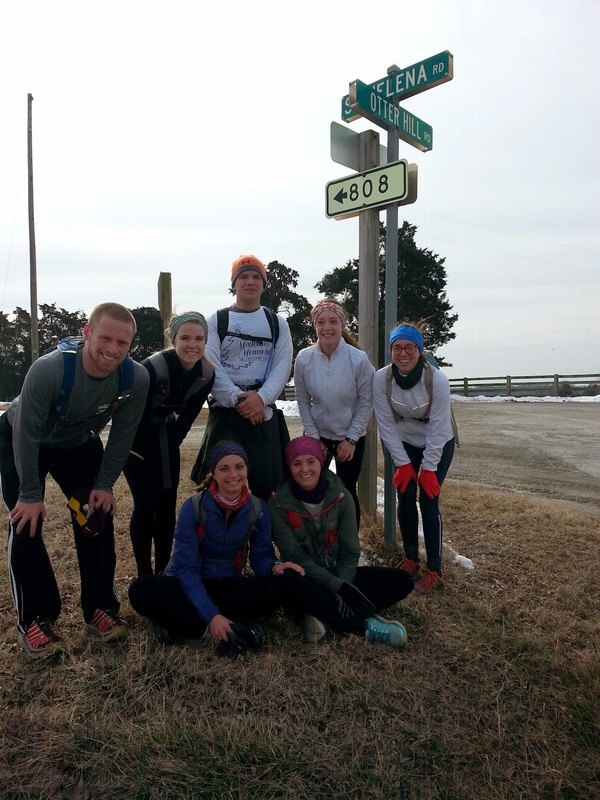 They conquered their first 50-miler. Two decades ago and for many years after that, I pulled in numerous top finishes. In fact, there were times when it was unfathomable to me not being a top runner. But now, I run my slowest times ever. Now, I am not even winning my age-group division. 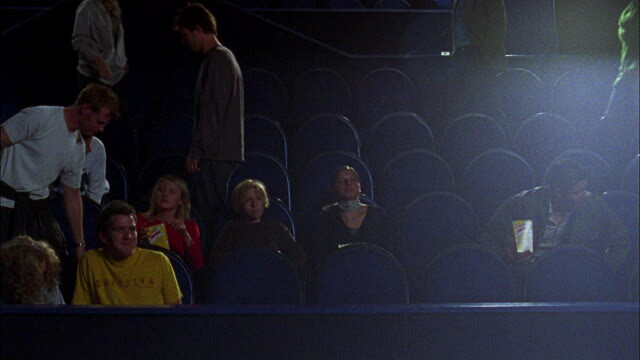 Now, those fast times and top billings are such a distant memory that sometimes I wonder if they ever really happened. But guess what? Now I win every time the Shindigglers and I are together. Now I win to see and feel their joy of mountain adventure. Now I win when I see their heart for God and others. Now I win when they complete what they first thought impossible. Now I win simply by being their TrailMama. It was in the early 70's in Birmingham, Alabama. Volatile racial tensions exploded in outbursts of violence and revenge. Forced integration of public schools only ignited the fuse of the bombs - literal and otherwise - that tore the place part. But enter the power of the Gospel and the boldness of one individual who poured into the lives of a football team. Hearts changed and changed lives followed. Birmingham was not the same after that. Having an afternoon free in Kansas City prior to some FCA (Fellowship of Christian Athletes) training, I took advantage of the rare block of time. 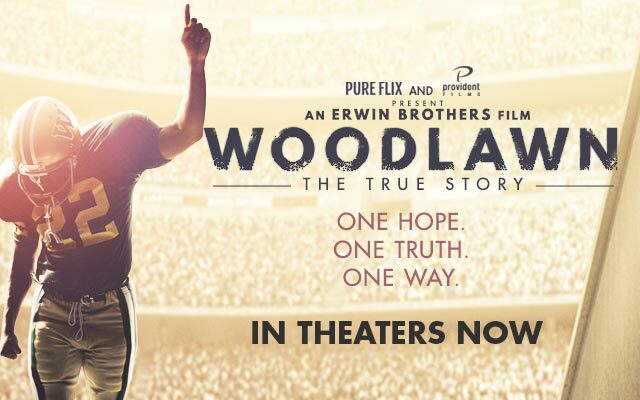 A movie theater within walking distance of the hotel had Woodlawn slated for a 2:15 p.m. showing. After providentially chatting with a couple I met, I slipped into the sparsely occupied theater. It was not hard to find a seat among the mostly senior citizens spending an afternoon at the movies. In the darkness, my mind whirled with thoughts and questions, and just a little bit of excited anticipation. I had not wanted to come to this "bootcamp" on approaches to funding ministry. But as I prayed for a changed attitude, God had given me a surprise opportunity to share the vision of FCA with that couple at the ticket counter. The chance encounter turned into a 20 minute conversation and an interest in becoming a part of the ministry to Central VA coaches and athletes. What would come next? As the movie began and the story unfolded, the tears could not be contained. God appointed an FCA staffer to be in the right place at the right time with the right message. Once the truth took hold, the change could not be throttled. Revival swept over players, coaches, parents, and the community. Though challenged because of their faith, the impact of Christ continued to roll onto shore, dramatically changing the social and cultural landscape. But unlike a tide that ultimately drags it's captures out to sea, the swell had lasting effect. Hearts were not the same. Peace and harmony, godly lives, and unity prevailed. The real-life plot was riveting, the message powerful, and the story inspirational. But it was more personal for me. 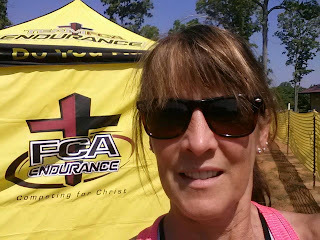 I saw what God can do- and did - through the ministry of FCA. So I contemplate: I am FCA. Can He use me like that? Will God be gracious to use me to produce a mighty work in His people? I watched the credits roll as others made their way out of that theater, lost in my own thoughts and thankful the lights remained low. I felt my resolve for ministry grow and my commitment confirmed. What a privilege to be called to speak into lives of coaches and athletes. May Jesus Christ be pleased to use my feeble words to change hearts and lives. Postscript: Check out the Woodland website to learn more and view the movie trailer below. Then get out and take the whole family to see this movie. You will not be disappointed! fell around me, likely sent from the heavens as the forward army scouts. They must have called in the rest of the troops for in an instant, the wind whipped up and sheets of rain descended. I glanced at my watch. Great. 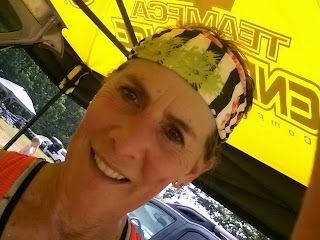 It was slightly after 6 p.m. Had I just left the start line of the Grindstone 100 a mere 14 trail miles away, I'm not sure my attitude would have been cheery and bright. It was hard enough setting up the aid station in the rain. Hannah and Abby Quigg. I'm in the middle. But one by one, we watched and waited to see the bobbing lightstreams emanating from headlamps as runners careened off the mountain on tricky, rocky trail. 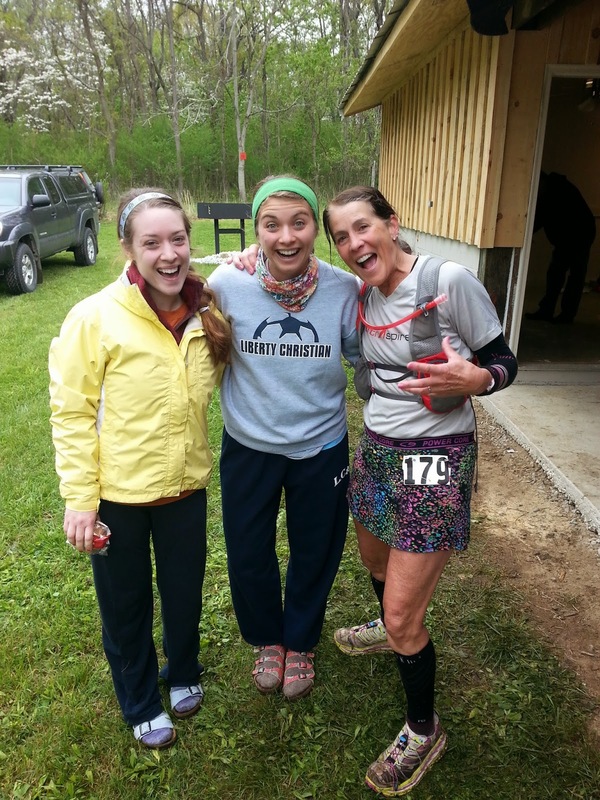 They came into the aid station soaked to the bone and anxious to replenish food and water. But amazingly, most didn't really seem to mind now that the rain had let up. Being off the mountain and out of the wind must have made the situation bearable. 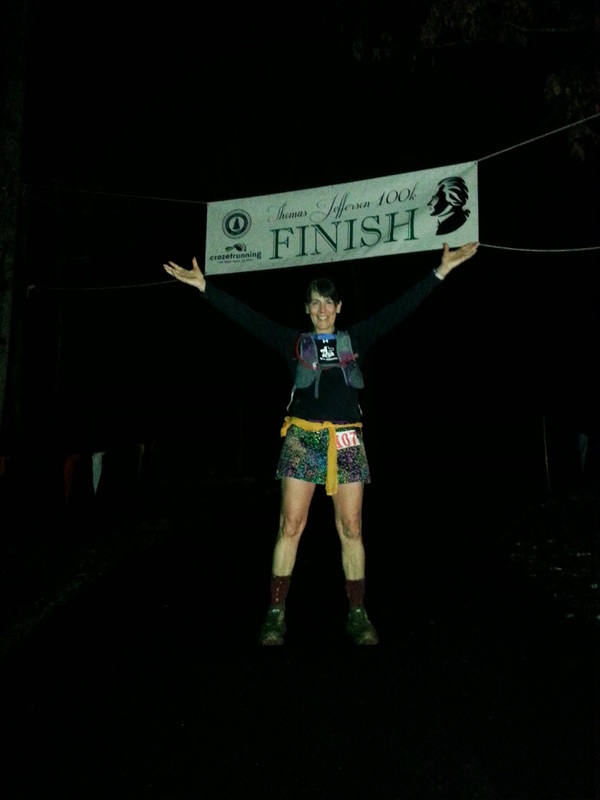 Yes, another tough mountain lay directly across the gravel road, and 87 miles stood between them and a finisher's buckle, but still, they gladly pushed on into the night and the unknown. The relentless clock ticked away, marking off precious minutes, hours, and yes, even days for some. By late morning, the front runners came back to us, ready to confront the ominous mountain they had previously descended. Some were in great spirits and, though grimy and dirty, not really looking any worse from the wear of 87 tough miles. The fire got bigger. Really and truly. their way into our station. They were tired and beat. Tomato soup and just-cooked quesadillas produced moans of appreciation. Some needed to recoup by taking a chair by the campfire that had been burning all day long. Heads hung low when the desire to sleep overcame the desire to take on the last huge climb. For those who sat, standing again unassisted was challenging. 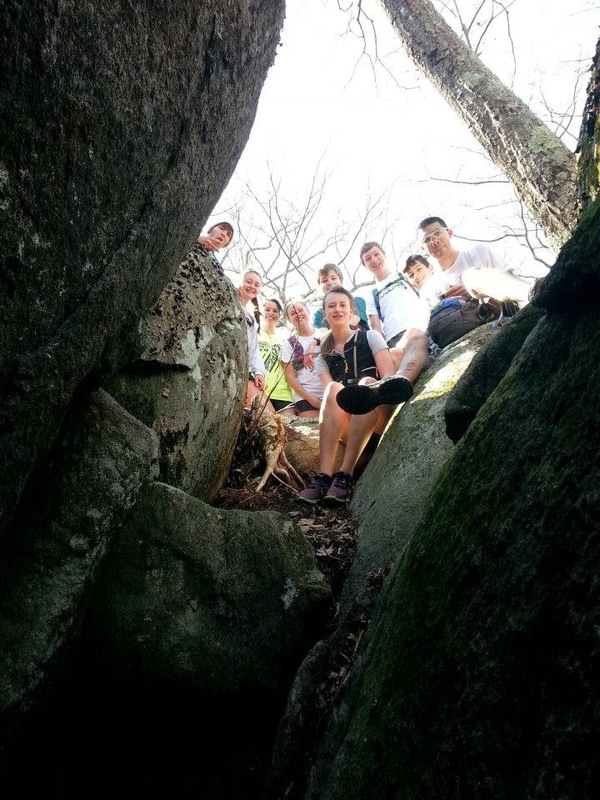 More than a few began the slow hobble up the incline leading to a four-mile climb to Elliot's Knob. However, as much as muscles and tendons and ligaments had been challenged, the facial expressions were anything but difficult to discern. These people were suffering. So why not put an end to the suffering, get in a car, and go home? These people continued because they understood that suffering isn't all bad. 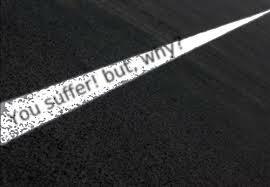 There is an inevitable element of suffering as an athlete strives to reach new heights. The line between pain and gain must be meticulously marked and measured. But in the end, holding onto the hope of accomplishment and persevering through the hurt results in increased strength, maturity, and restoration. "Therefore, since Christ suffered in his body, arm yourselves also with the same attitude. . . (1 Peter 4:1). Why? Because of this: God's grace. "And the God of all grace, who called you to his eternal glory in Christ, after you have suffered a little while, will himself restore you and make you strong, firm and steadfast. To him be the power for ever and ever. Amen." (1 Peter 5:10-11). Sure. Suffering hurts. Suffering is never nice. But persevering through the pain will restore us to be strong, firm, and steadfast. Bring it on. I think I want to suffer. 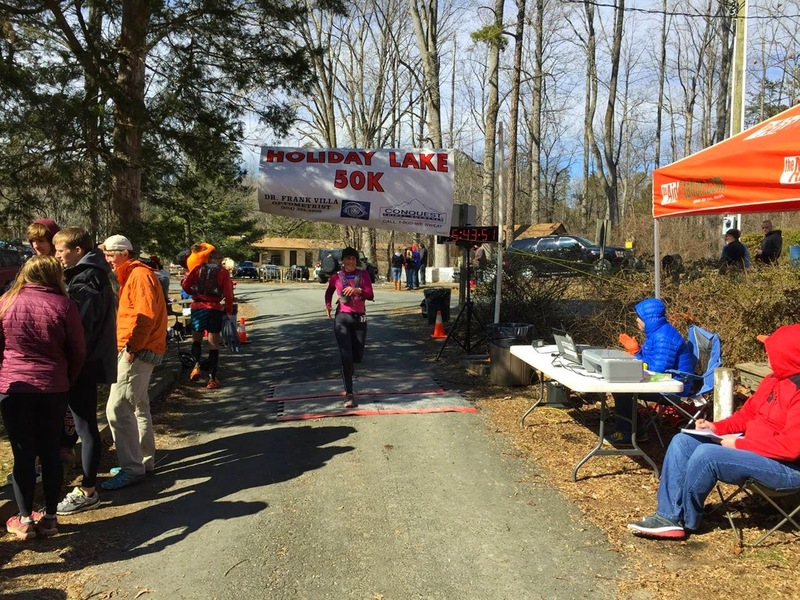 POSTSCRIPT: Congratulations to all the finishers of the 2015 Grindstone 100. Well done! Originally written and recorded by Mark Knopfler of Dire Straights, and covered later by Mary Chapin Carpenter, I can remember hearing the tune come tumbling out of the car radio. It was 1991/92. I had been married for 15 years and had two young sons. We had just moved to Lynchburg, and were negotiating balancing the challenges of my medical career, shifting roles with Gary as "Mr. Mom," and trying to figure out how to get the youngest kid to sleep longer than 20 minutes at a time. Simultaneously, a business from back on the coast had to be sold, houses bought and sold, and layers of complicated logistics to figure out. Emotions ran the gambit: one day everything was fine, the next day was wrought with pressure-filled decisions. The Bug could have been our theme song. I've been revisiting that song as of late. In an odd way, it helps keep perspective. Mountain highs and valley lows. Great hurt, insult, and disappointment coupled with unexpected encouragement. An overwhelming sense of loss followed by a comforting cloak of belonging. Feelings of competency and expertise murderously machetted away until replaced by confirmation and acceptance. 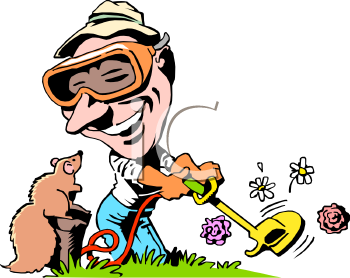 Reputations unjustly marred offset by a call to service and ministry elsewhere. It's a tough road trip to make. Windshield status feels pretty good. Bug status is messy. I doubt I am alone on this journey. The circumstances may vary but I suspect to be human is to alternately be solid glass and smooched bug bits. The Psalmist David often wrote about this. Sure, no windshield on his chariot in a literal sense, but I think he understood. In Psalm 60 he pleads "God, hear my cry; pay attention to my prayer. I call to you from the ends of the earth when my heart is without strength. . ." The bug in him beckons. But in his next song (Psalm 61) he pens, "I am at rest in God alone; my salvation comes from Him. He alone is my rock and my salvation, my stronghold; I will not be shaken." Windshield status. 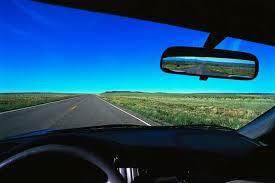 Psalm 63 and a rock-solid windshield: "God, You are my God; I eagerly seek you. I thirst for you. . .I meditate on you. . .because you are my help." 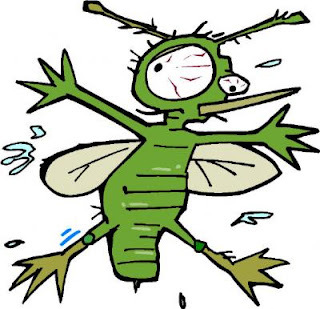 Splatted bugs come back in Psalm 64. "Hide me from the scheming of the wicked, from the mob of evildoers. . ."
Sometimes the transition between windshield and splatted bug guts happens nearly instantaneously. "LORD, how long will you continually forget me? How long will you hide your face from me? How long will I store up anxious concerns concerns within me, agony in my mind every day? How long will my enemy dominate me?" But before the ink is even dry, David gains perspective, his windshield strong and clean. "But I have trusted in your faithful love; my heart will rejoice in your deliverance. I will sing to the LORD because He has treated me generously" (Psalm 13). Sure, sometimes I feel like the destroyed little bug, but thank God it doesn't stay like that. I will see clearly again. Drive on. The Lord is my strength and my defense; he has become my salvation [and windshield]. assorted weeds. For months, the old brick sidewalks screamed out my name each time I traversed the rough old pathway. I ignored their cries. The edges, once neat and tidy, were gnarled and sprawling with unwanted vegetation, hardly a welcoming route to the front door. Something had to be done. Today. 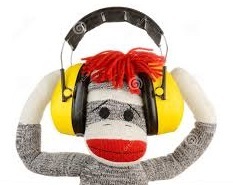 After a quick lesson in WeedWhacking 101 and the peculiarities of the awkwardly balanced machine, Gary handed me the red earmuffs. (I don't think they are actually called earmuffs but they are kin to the soft furry ones intended to keep ears warm in winter.) "Here. Wear these. You don't want to go deaf listening to that whine." I dutifully donned them, noting that the three earrings in each ear did not contribute positively to the comfort level. Oh well. Along with sunglasses, long pants, socks and shoes, I was ready to advance to the front lines. After refining my technique to allow the proper amount of line to pummel the offending weeds, a sharp edge began to appear along the sidewalk. I felt content knowing the ol' homestead was looking a wee bit tidier. Grass flew in all directions with an occasional pebble making a direct hit on my leg. Once, a shard of mulch lodged itself in my hairline while another rocketed into my cheek. It was a close call and I was thankful for my glasses. But then the trimmer silenced itself. It had run out of fuel. With ear protection still in place, I made the short jaunt to the shed to get more of the gas and oil mixture. And then I heard it ever-so clearly. Lub dub. Lub dub. I heard the beat of my own heart. I was startled. I had not expected that. Why did I hear what had been hidden from me moments before? The protection of the ear muffs shut out the surrounding noise and allowed me to hear what had been there all along; the steady, incessant rhythm of my own heart. But without the deliberate move to shut out damaging noise, I would have never noticed. I think there's a lesson in this story. I am so apt to get wrapped up in doing, intent on making progress and conquer the day. Perhaps if I was more intentional about shutting out the noise, I would actually be aware of the underlying condition of what lies deep inside. Is it a heart that seeks after God? Is it a heart that beats in time with God's? Is it a selfish heart or one that seeks to make another's beat stronger? Lord, help me to stop and listen. Seal out the noise. Seal in your voice. Reveal and heal any heart condition that does not please you. Make my heart pure and clean for your own glory. Amen. To me, Saturday mornings and mountain runs are as perfect a combination as Forest Gump's peas and carrots. So it was with delight that I filled my pack and left the house in the filtered early morning light. I was alone but not lonely as I started the long ascent from the valley floor to the mountain top. I knew the route well. 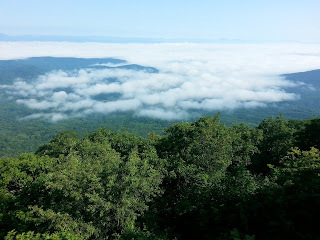 But to gain the view I so deeply desired from the mountain ridge, there would be nearly unrecognizable trail to travel. So overgrown and wet from morning dew, the forest itself reached out to grab at my now-soaked self. And yet, a momentary pause offered me a chance to hear the siren's song of the wilderness; leaves rustling, breeze blowing, birds singing, mountain streams gurgling. 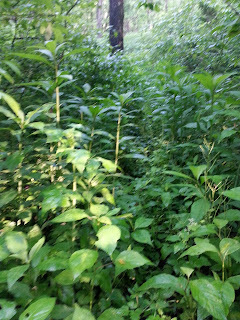 The wrestling match with the flora gave way to the comparative freeway of the Appalachian Trail. Up, up, up I climbed, feeling fast and free. The thin dirt trail offered easy footing, save a few rocks and water breaks. The climb was long, but I didn't mind. 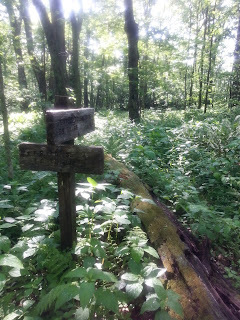 I relished this time in the woods, thoughts and prayers my faithful companions. Life in the valley was busy and hectic, ministry demands unending. But not here. 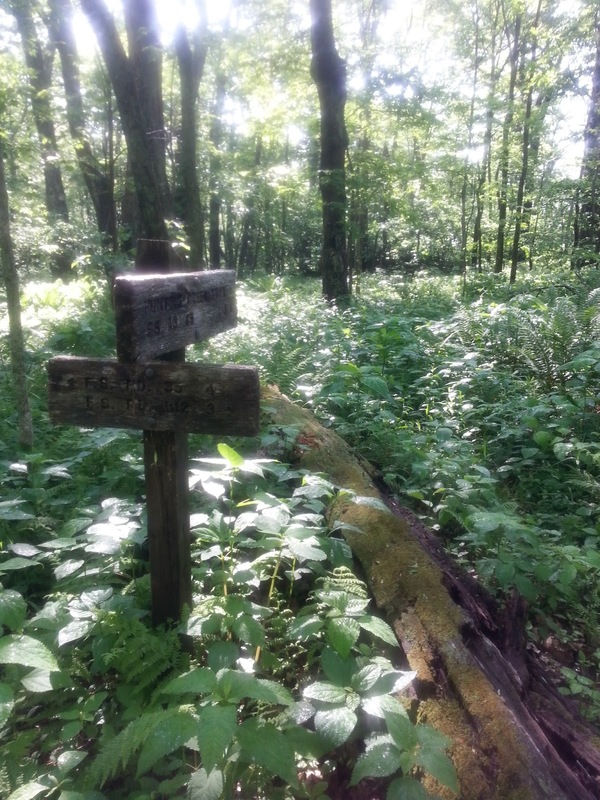 Here on the trail whose northern and southern terminus were a thousand miles in either direction, life was simple. It was one step at a time. One breath after another. 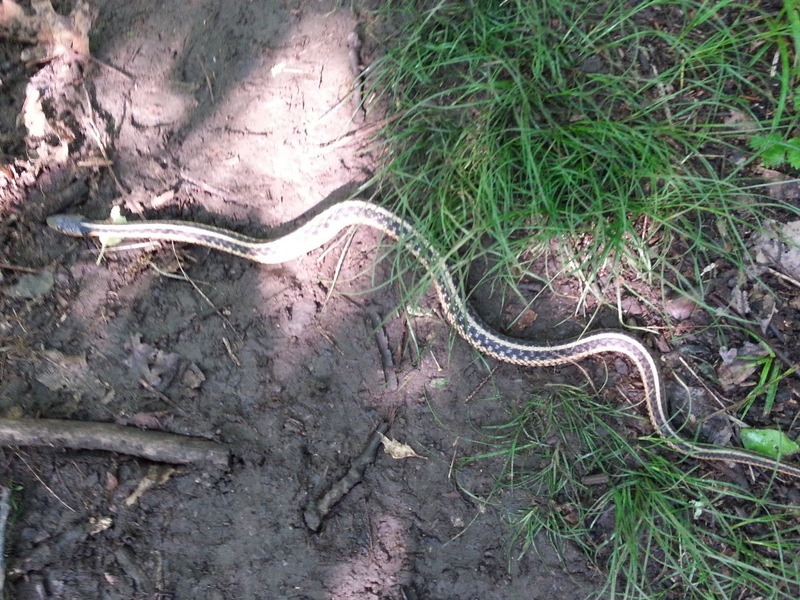 One lovely snake to step over and view to take in. The forest was alive and well. It offered me a respite, a renewal. I stood on the rocks and peered into the vast valley below. The landscape was nearly unending green, leafy trees packed into every nook and cranny the mountains offered. In the sky below where I stood, cotton-candy clouds floated effortlessly, seemingly not bothered that mountain peaks rose higher. 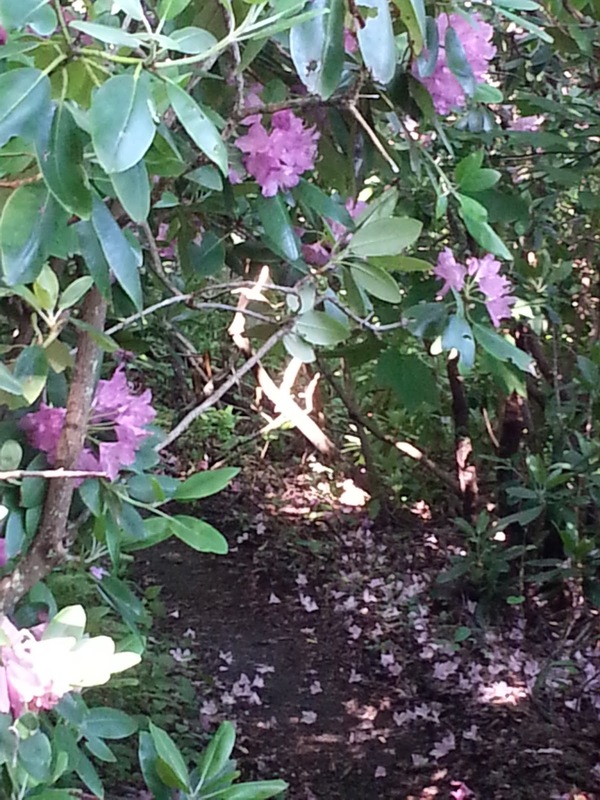 The meandering path escorted me along the gentle ridge line. Running was easy and effortless. 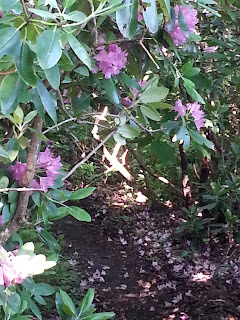 Though the rhododendrons had released many of their blooms, they offered a flower-strewn carpet over which I glided. I was both humbled and grateful. left the smooth and undulating trail for one that was a cousin to the first. Weeds, though flowered and beautiful, sought to entangle my legs. Nettle did not remain anonymous, its sting a painful reminder. Still, I didn't really mind. It was as though the forest was holding me in a tight and loving embrace. The further off the beaten path I traveled, the more enveloped by nature I felt. As I descended off the mountain, the trail twisted and turned as if to make the game more interesting. It was something new around each corner. Rocks jutted from the ground, some large and obvious. The smaller ones acted like that pesky little brother who finds great delight in reaching out to make you stumble. And yet, it was fine. No complaints. I was playing in the forest's house by the forest's rules. Soon I heard the rush of a bold, lively stream. 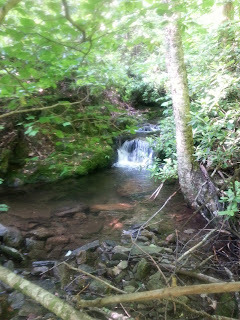 The water, just as playful as the woodland, spilled and toppled over the boulders in its path. The sound was almost joyful, even when the water paused to create enticing, refreshing pools. Then once again, the flow picked up momentum and ran down the mountain. I think I heard the stream gleefully cry out, "I'm free. I'm free. Catch me if you can!" "Not today," I whispered. "Perhaps some other time. I'll be back." All too soon the gravel road was before me. The crunch underfoot meant I was headed back to the car. I raced the larger stream that ran beside me. I marveled at the graceful agility of the deer bounding across the road. 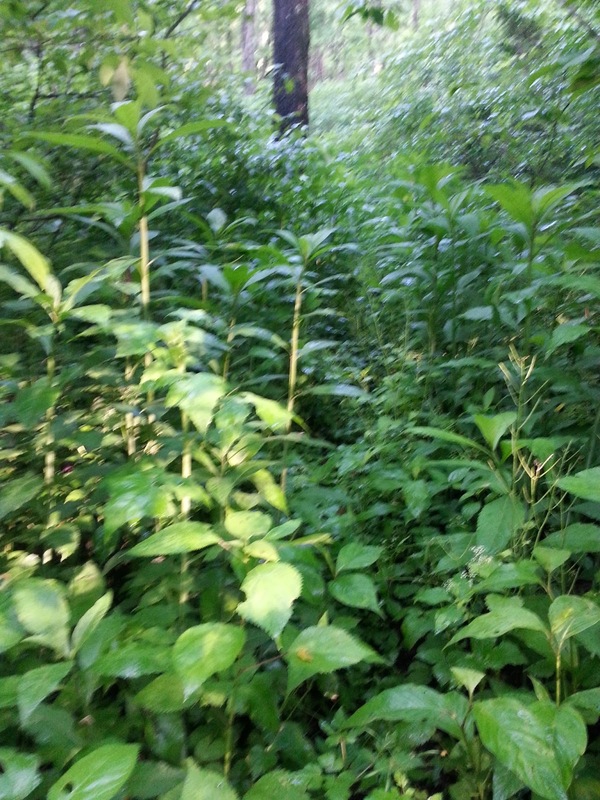 I wondered where that overgrown path led off to the right. I admired a house tucked into the mountain side and nearly hidden by the trees. I wished I knew the folks who lived in the old stone house near the bottom. And then I was back at the car, so thankful, so grateful, for the simple pleasure of running through God's world. Then sings my soul, my Savior God to thee. How great thou art. 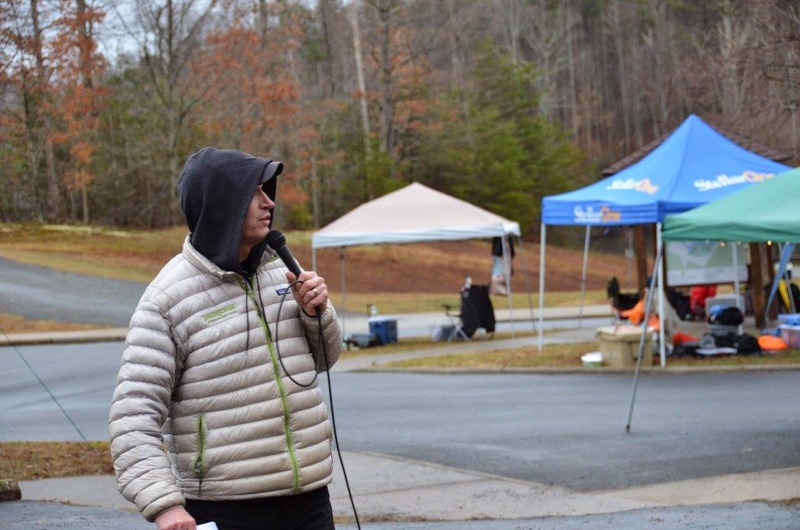 Susan Boyle, Psalm 8 recitation and "How Great thou Art"
I had never run an actual 24-hour race. Yes, I had been on my feet longer, much longer in fact. But I had never set off to see how far I could go in a full day. It seemed like a splendid idea to hit the "Register now" button. But then again, I was sitting in my favorite chair in the comfort of my living room. Silly me. Repeat this as many times as possible in 24 hours: a five mile loop on single and double track trail along with short sections of gravel road. It was a simple task to understand. 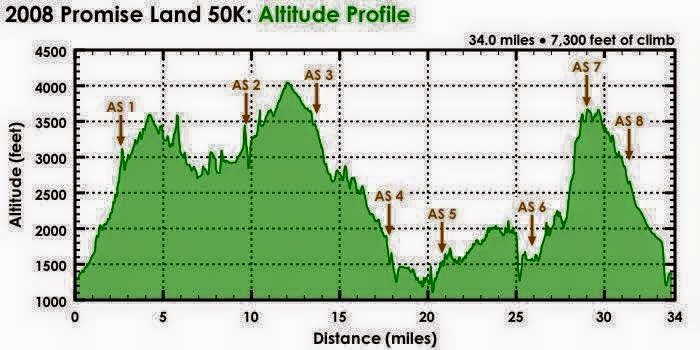 There is a mere 124 feet of elevation gain per lap. Although I would discover one gruesomely evil and steep hill, there was no real fear of trashed quads or tortured hamstrings from punishing downhills or miles-long climbs. Accordingly, I settled on a 100-mile goal since I have run 100 miles in less than 21 hours. (We won't mention it was when I was a 41 year-old in 1998.) Still, considering the circumstances I thought it was within the realm of possibility. What I didn't consider was 90 degree heat and awful humidity. The high noon start meant running in the heat of the day. It didn't seem to matter to the relay team runners who began their one-loop-at-a-time assault of the course with a flurry. Me? I had no choice but to be conservative, trying to take small sips from the bottle I carried along the way and maintaining a comfortable, easy pace. Did I say it was hot? Whew. My skin turned into this sweaty, slimy, sticky mess. I switched out my Ultraspire Spry pack for the Ultraspire MBS Ion single bottle waist pack. As tiny as the Spry pack is, it was just too sweltering to have that thing plastered against my back. I made it a point to slurp a bottle of my electrolyte drink by the time I got to the 2.5 mile aid station, and then refill and down that bottle by the time I returned to the start/finish. sweat exuded from my pores. My goal for 100 miles in 24 hours needed readjustment when the first 20 miles took just under five hours. "OK. It will need to be 80," I decided. As night fell, I continued to make progress, howbeit slow, methodical, and calculated. Expectantly, I awaited a drop in temperature and cooling breezes. That never came. 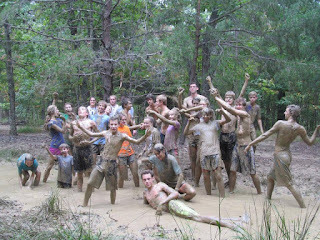 What did come, unfortunately, was wretching and puking. Just putting something to my lips made me gag. My fluid and calorie deficit climbed in concert with the miles. I was in trouble. My sweet, sweet Shindigglers were expected by midnight. I could hold on until then. Sure enough, there they came- right after another violent round of expelling unidentifiable black vomit. They found me laid out - and wiped out - on my sleeping pad underneath my tent. Their eyes widened, revealing worry and fright. "Coach T, you don't look too good." I suspect that was a grand understatement. Within a few minutes, I stood, sipped a little more on a cup of tomato soup, ate a few cheese puffs (which surprisingly was the only half-way palatable thing I could find in my private stash of food), and again switched on my headlight. "Let's go." The two pairs of sisters obediently fell in behind, the chatter bobbing along in sync with our headlight beams. I felt better in this company. My legs were fine and responded to the task of taking me down the trail, only revolting slightly when stumbles brought on intense but fleeting cramping. Still, we moved forward, happy to be together in the stillness of the night. I tried to sip from the bottle at my waist but just couldn't swallow it down. I sat for a few minutes on the bench at the middle aid station while our banter broke up the monotony for the worker. He laughed. I'm not sure if it was with us or at us. As we continued on, I acted like the tour guide, pointing out each landmark now so familiar to me, though veiled behind the curtains of the darkened forest. We mostly hiked. Running simply jostled my already confused insides and threatened an impending eruption. It was the best I could do. 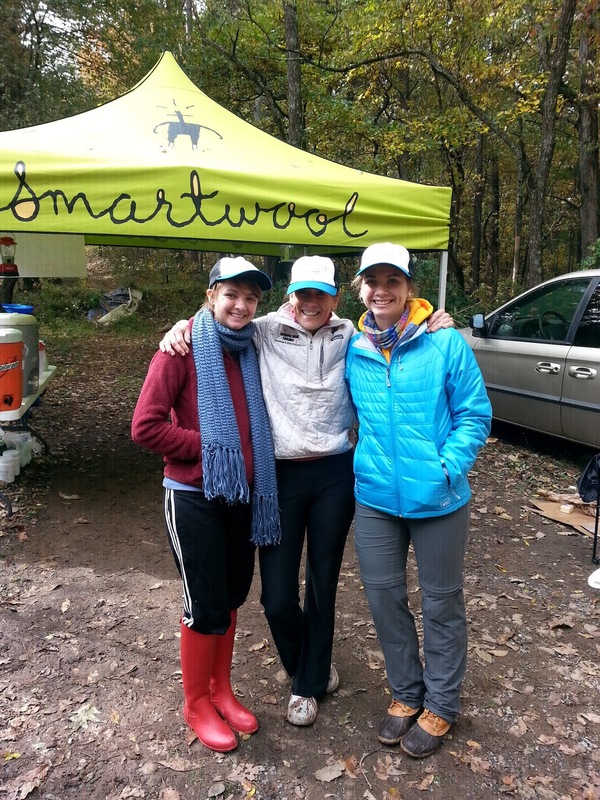 Another loop completed, one sister duo, Rebecca and Caroline, regretfully announced they needed to head home. They had duties at church come morning. We said goodbye and then rested a few more minutes, allowing me to nibble and sip. Then off we went for more of the same. Other loop. Another 5 miles. The total was up to 50 and I had nine or ten hours to go. Surely, I could put in another 20 or 30. But the tank was nearly empty. I tried to get down some chicken rice soup, a good source for restoring sodium. But my gag response, fully intact, denied access. I laid down, covered my stinky self with my sleeping bag and closed my eyes, though never actually sleeping. Sarah and Abby dozed off as I mentally assessed my situation. Was I in bad shape? Yes. Have I been worse. Yes. Did my legs still work? Could I still run or hike? Double yes. Could I get in real medical trouble should I continue without being able to eat or drink? Probably. 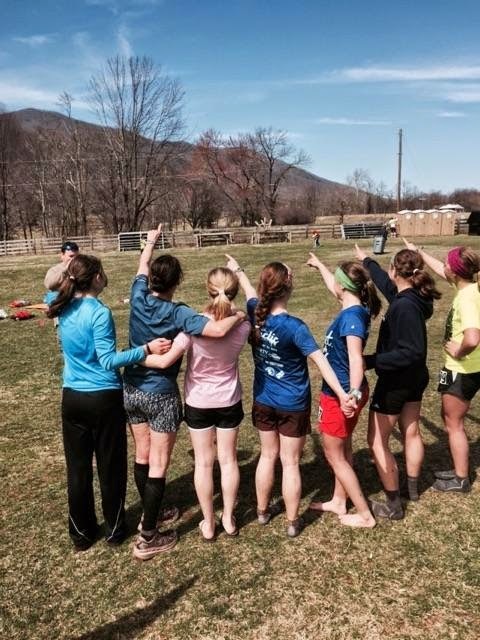 Was it possible to make it 80 miles and set the women's course record, low as it might seem? Maybe. Did I care? Was it worth it? Hum. I couldn't decide. What should I do? The battle raged on between my sleep-deprived neurons. Quitters remorse is always bitter. I didn't want that. But did I want to proceed under these circumstances? Did I want to take on more unrelenting heat and oppressive humidity that promised to rise with the sun? I glanced at my snoozing friends. What message would I send to them? Would they be disappointed? Was I being a wimp? Would I be the bad example of a coach who declines to practice what she preaches: one step at a time? I hated the battle raging inside my head and heart but had no power to draw the sword and make a decision. 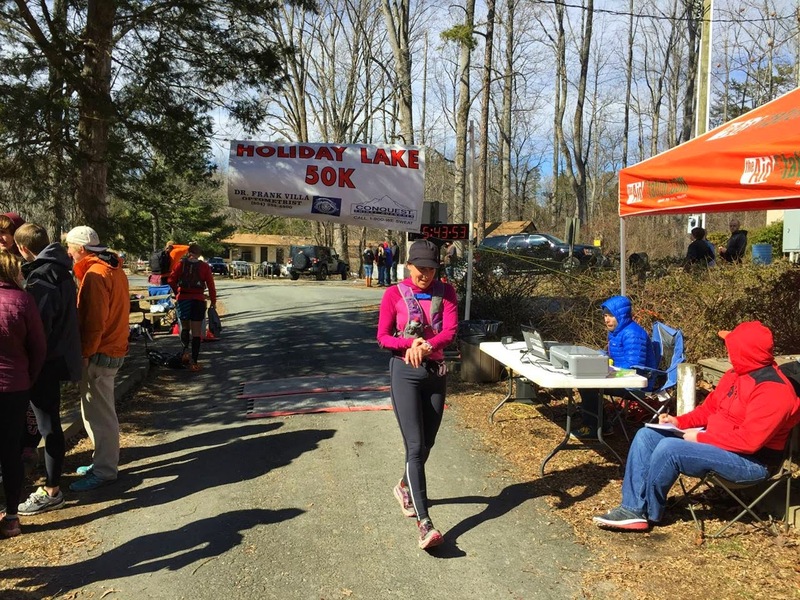 Jump backwards to another race; the Thomas Jefferson 100K. 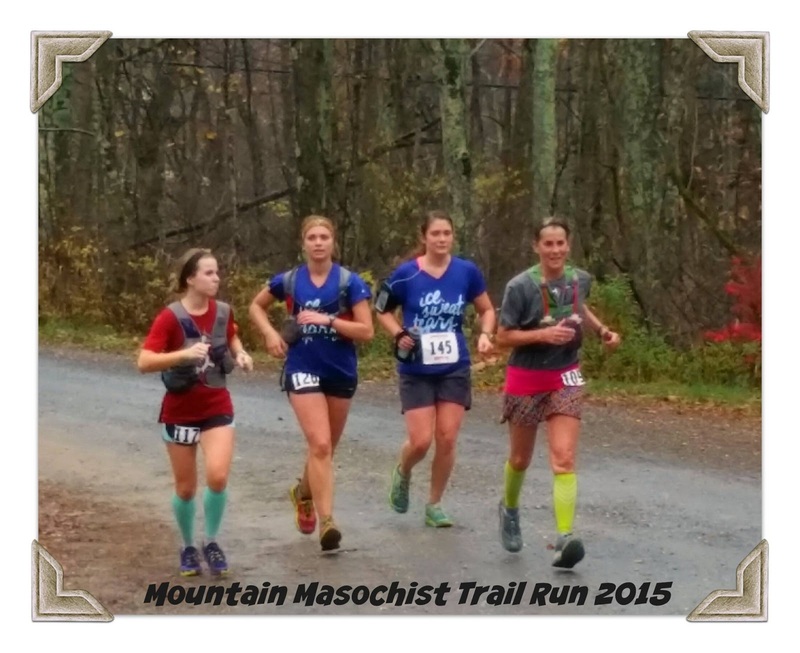 I wrote how difficult that race was for me back in March; single track, rain, mud, fatigue, discouragement, persistence. And yet there was never any thought, not even the tiniest hint, of quitting. I ate, I drank, I slipped and slid my way along that mud-slicked terrain until I claimed the clearly-defined finish: 7 loops. 63 miles. That's what it had to be if I was going to be successful. So, that's what it was. That's what it took. I finished. In contrast, the Hat Creek 24 hour solo race had no clearly defined goal. Yes, I was to run as many miles as possible in 24 hours. But only whole loops counted. It's not like everyone was supposed to stay in motion until the clock struck noon. If you finished a loop at 23 hours and could not complete the next loop within 60 minutes, the race was over for you. As the only woman I had "won" the race no matter how far I went. Except for pride and bragging rights, why continue to suffer? But remember, I really did have a problem to consider: there's no doubt I was way behind in fluids and calories. I had lost what little I had taken in by vomiting and diarrhea. I couldn't remember the last time I had peed. I didn't want to make recovery a long, drawn out process, nor did I want to get worse and tempt a catastrophic downward medical spiral. As the battle raged on, I opened my eyes and realized the sky was a tad lighter than before. Dawn was going to crack in an hour or so. 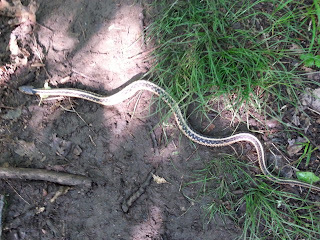 I decided to put on my shoes and quietly slip off across the field and down the trail for at least another loop. I would let my friends enjoy their respite. But just as I reached for my shoes, Sarah, who had sunk into the cradle of a camp chair, blinked open her eyes. In that moment something happened. I'm not sure I understand it but I remember saying, "Would anyone be disappointed if we didn't go out again?" The response was a resounding "no." That was it. The switch had unexpectedly flipped. I laid there a little bit longer, watching relay runners, 12 hour runners, and the handful of remaining 24 hour runners drift in and out of camp on the way to their own finish lines. I felt hollow and empty. For nearly a week, I've been contemplating my race and decision to stop with so many hours left to run. Why did I do what I did? Was it the right decision? Here are my thoughts. The lack of an absolute definition of completion and success contributed to my decision. I was not required to run for a certain number of miles or be on my feet until the ringing of a final bell. Therefore, it was totally up to me how far and how long to run. I was in charge of defining "finish." Had there been another woman in the race, I may have been inclined to continue. I would have felt the pressure. I know I would not have liked being one-upped. Honestly, the lack of competition heavily impacted my decision to tap out early. my fluid and calorie status was not going to improve during those additional loops and in the aftermath. 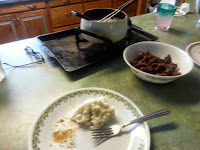 Once I was able to restore food and fluid intake Monday afternoon (venison fondue and a baked potato hit the spot! ), recovery has been amazingly quick and simple. The lack of huge climbs and descents left my quads and hamstrings intact. In fact, there was a complete absence of upper leg soreness after-the-fact. The only reminder of the 50 miles completed was tight calves through Tuesday morning. The variation of surface and terrain protected the legs from the type of repetitive, consistent foot-striking that inflicts pain in a road race. I pulled off a fluid, effortless twilight run on Wednesday evening. Energy was good as I floated along, a sensation that is more of the exception than the rule for me. Stopping when I did made recovery a much simpler and complete process. So there it is. A tale of two races and two outcomes. The moral of the story? Not withstanding the medical part of the decision, success can only be achieved by keeping our eye on the goal; focusing on the task and relentlessly pursuing it. Just like a farmer atop his tractor, he'll never plow a straight line and stay the course if he loses his razor-sharp focus on a stationary object across the field. Fixed to that point and drawn toward it, no dirt pile, rock, or turned up obstacle will force him off track. And so it is in life. It might get bumpy and unpredictable, but setting course for the fixed goal on our horizon will keep us true to the task and moving forward. My spirits were buoyed when I received the following email this morning. 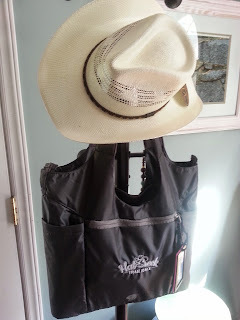 "Today, I completed my 5th reading of Pace Yourself. Tomorrow will begin my 6th year. 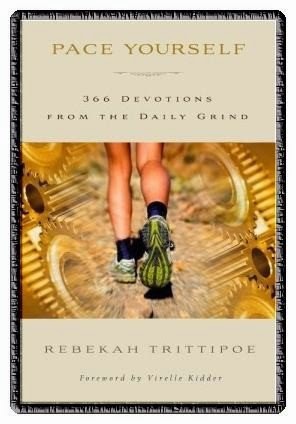 Thank you for all of the work you put into the devotions. They are an important part of my day. Thank you." Wow. I am thrilled and honored! It's never too late to begin your streak of reading! Order here and get free shipping and $4.00 off retail pricing! 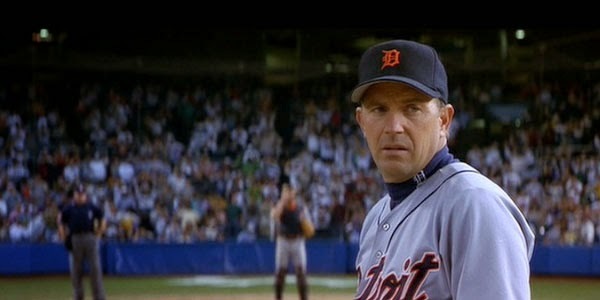 With that, Billy Chapel (played by Kevin Costner) shuts out the roar of the crowd, his vision becoming pinpoint. He reels back and hurls the pitch toward the chasm of the catcher's mitt. The thud against the leather palm of the waiting glove is deafening to the honed in pitcher. "Steeee-rike!" the umpire proclaims, arm pumping out the well-known sign. outcome of the flick was the same as the first time I saw it. 40-year old Chapman is three outs away from a perfect game. He is in excruciating pain from the thousands of innings pitched in his nineteen year career. But he's also conflicted and confused. He has chosen baseball over love but that will change. He decides his career will end with his final pitch. In the aftermath of laying hold of that perfect game despite all odds, we are treated to a predictable airport scene where Billy and his love interest, Jane Aubrey, reconcile. One can just imagine a "happily ever after." So what does this have to do with me? Admittedly, I am a sucker for against-all-odds sports movies. But I think I was drawn like a thirsty runner to an aid station by the title. 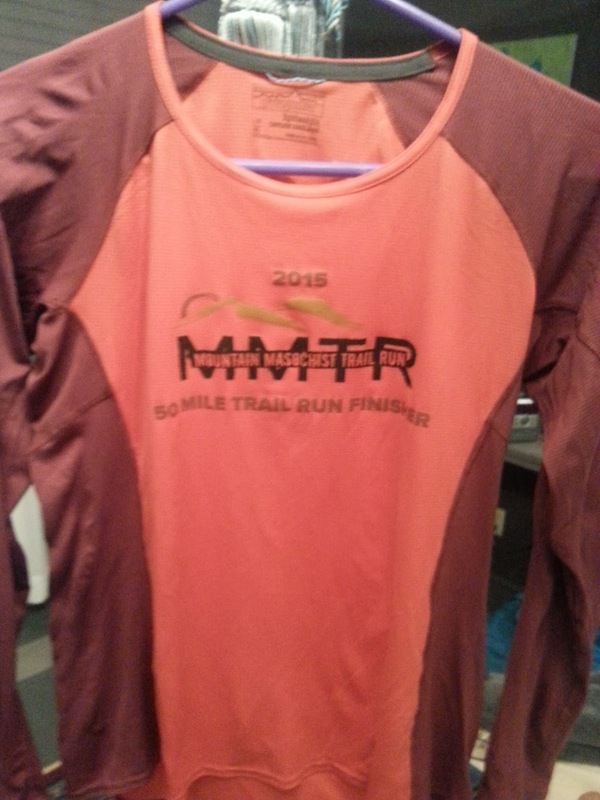 I've been around ultrarunning awhile; 22 years and counting, to be exact. I used to be in the lead pack. I used to win a few races. I was often in the top three. And then life happened. I got older, trained less, and the young whipper-snappers started tearing up the trails. Nevertheless, I run. I run for the love of it. I don't always "like" it but I keep coming back for more. After a mind-melting week away from home and a late Friday night flight back to Virginia, I stood behind the start/finish banner in the darkness of the wee hours. 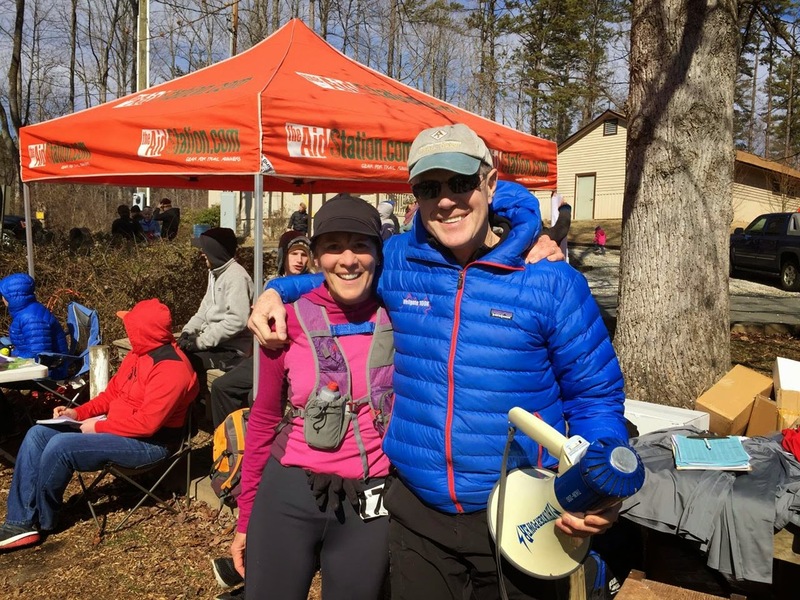 It was the Promise Land 50K++ run up, over, and through the mountains and valleys of the Blue Ridge. (34ish miles instead of the expected 31 gives us good value for the money.) It begins with a steady and steep four-mile climb and proceeds to alternate with rugged downhills and more arduous ascents. One thing it is not is flat. But it is beautiful: spring green, wild flowers, budding bushes, cascading waterfalls, narrow ribbons of trail, the scent of lilac. I've been running more races this spring because for the first time in years, I am not not coaching. But long runs come in spurts and weekly mileage is not massive. Still, this Promise Land was a must-do if I am to complete the LUS race series. With two other 50Ks and a 100K completed since February, I could only hope for a magical day. I guess I'm getting used to the back of the mid-pack. My proteges' run ahead of me. Though I am one in a long train of trail travelers, I run alone and silent. I like it that way. I eavesdrop on the not-so-sage advise of one novice runner to another. It makes me shake my head. "If only you knew." Still, as the weather suddenly turns, I relish the sleet and freezing rain that falls from the sky. I am comfortable and not bothered by the odd April weather. I smile and run on. I play cat-and-mouse with other runners on the six-mile grassy road section down and around Onion Mountain. I run rhythmically and freely, breathing controlled. The sleet lets up. I pass some people. I smile and run on. From Reeds Creek, I make the climb back up to the parkway. Though I am occasionally within earshot of fellow travelers, mine is a world of silence. I contemplate the weighty topics discussed in this week's intense training. I pray silently. I sing silently. I silently rehearse speeches in my head. I smile and run on. The temperature drops and rain returns as I arrive at the Parkway and begin my descent down the rocky and technical "dark side" trail. But by the time I take a left on another grassy forest road, the weather improves as does the footing. Down, down, down. More rocks to negotiate. The sound of rushing water as the bold creek cascades over boulders is like music composed by an extraordinary musician. I momentarily interrupt it's song as I ford the swift-flowing waters. The cold water feels good on my legs. I smile and run on. I am greeted at the next aid station. "Hey, I thought you gave this up since becoming a grandma." I chuckle and head down the course. The ease of the gravel road section releases my mind. I feel accomplished as I surge onward. Turning at the massive collection of orange streamers, I am ushered back onto blissfully sweet forest single-track. I arrived at the next age station, dumped a few hitch-hiking cinders from my shoes, and join in some friendly banter about "older" runners. I eat, drink, smile, and run on. I begin to catch runners ahead of me. Shared steps lead to shared encouragements. I meet a young college runner. "What mile are we at? Do we have enough time to finish?" she asks, somewhat panicked. "It's been 4:57. You have over five hours to complete about ten miles. No problem." Invigorated, she plows on, pulling away. She catches two girls in front of her. With my steady progress, I eventually catch and pass them all. I smile and run on. Now there is a mountain to conquer. The climb is hard. Still, it's not like some other years when my legs fatigued and threatened abandoning me on the hillside. I felt in control. Apple Orchard Falls was spectacular, millions of gallons crashing over the cliffed wall to the rocks trail-side. I allowed two stronger climbers to pass but closed in on a line of runners as we approached the top of the three-mile climb. Comfortable temps and conditions gave way to a sudden drop in degrees and precipitation. The cold, torrential downpour forced me to don the jacket hiding in my pack. With a mere 5.5 miles to go, I smiled and ran on. My legs churned on after crossing the parkway to take on the last short climb of the race. Then it was a right turn onto the same single track we had climbed earlier in the day. The trail, now offering mud and water through which to slosh, showed the way. Just follow the water: down, down, down. The switchbacks afforded me glimpses of folks I had been chasing all day. Soon the roar of Overstreet Falls signaled the last 2.5 miles that would bring me home. I smiled and ran on. Sarah and Abby Quigg with "Tripletoes"
I ran and ran and ran. I was tired but not hurting. I was not in agony as in previous years. I didn't hate life. I continued to close the gap on those previously allusive runners. The orange-painted "1 Mile to go" line passed under my feet. The five-foot wooden squirrel adjacent to a mailbox toward the bottom of the mountain reminded me of the proximity of the finish. With the turn into the campground, the gravel gave way to sodden grass. 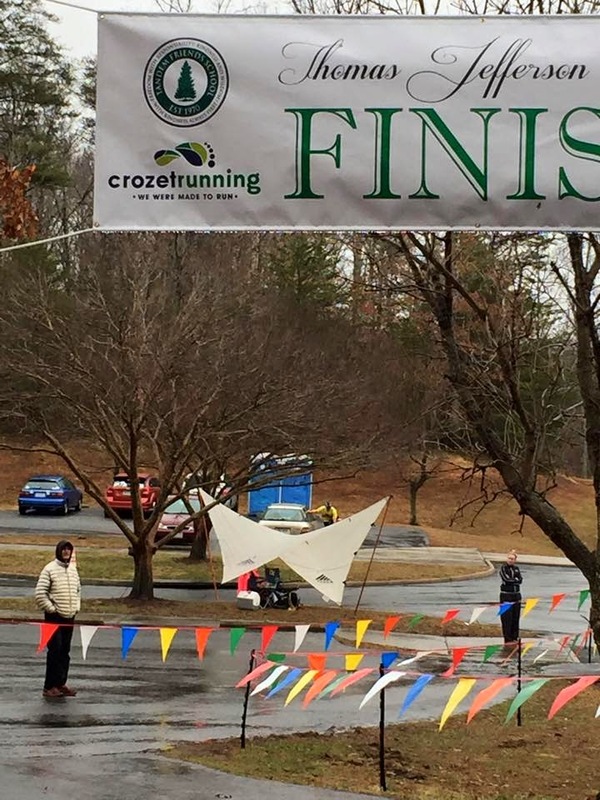 The finish banner was just ahead. 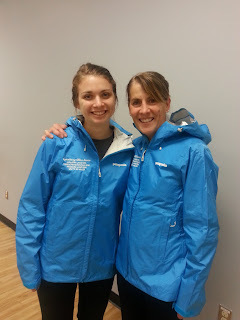 Two of my Shindigglers, the Quigg sisters having finished about twenty minutes prior, cheered. David Horton, race director, boisterously yelled into the microphone, "Rebekah Tripletoes!!!" He always calls me that. He thinks it's funny. I think it's endearing. I crossed the line, smiled. . . but did not run on. But I will smile and run on. . . for the love of the game. Postscript: For an idea of what the race entails, check out this video created by medical director, George Wortley. I went to bed in a funk. I woke up in a funk. Not because I was upset being at the precipice of another birthday, but because my brain cells were stuck thinking about a disconcerting situation. Yea, yea. I know. "Why worry when you can pray?" Guess I'm still working on that one. With a 100K approaching two weeks hither, it was important to get in a long run despite the "funk." 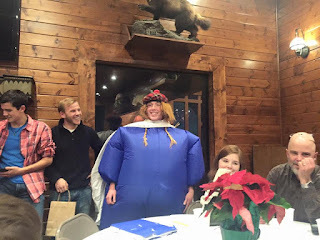 With snow and ice piled up in the mountains, the thought of a slogfest was not that appealing. And a solo road run? Less than appealing. 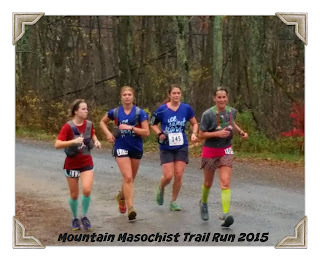 So I did what any reasonable TrailMama would do. Last evening I sent out a Facebook message to my band of loyal Shindigglers and asked if they would join me. "Yes!" came the answer. There. It was settled. Now I HAD to get my posterior end out the door and down the road. But not before the door flung open this morning to the sound of music (at least I think that's what that sound is called). In they came singing "Happy birthday to you. . .", bearing gifts to boot. A plethora of trail food snacks, gift cards for ice cream and food, letters carefully scripted, cards thoughtfully signed, and a framed picture collage of moments from previous adventures. Oh my heart! The funk was nowhere to be found, replaced, that is, by the love and enthusiasm of these college girls and a couple token guys. We spent the next three-plus hours running, laughing, stopping for photo ops (a vainly-disguised excuse to pause when we grew weary), and wondering why it wasn't getting any warmer. There were cows to chase, "Poo Sticks" (as in Winnie-the) thrown into the stream from the bridge, human pyramids to build, and musing about what conditions might be like atop the tall mountains in the back drop of our view. The new guy shared his story of grace and mercy, while others told stories of significant encounters and progress in their Christian lives. Fruit snacks and energy gels got eagerly snarfed down to fuel the endeavor. Every step was uplifting, no matter the toll the accumulating miles took on our legs. "Coach T," Sarah rang out. "It's a longstanding tradition to take turns voicing what we appreciate about you." And so it began. Despite temps in the teens, my heart melted into a molten mass. Could it all be true? Do they love me that much? I hoped so. There was no doubt I loved each one of them. When the country roads led us home, the house nearly burst with giggles, the aroma of hastily created pizza, and the sweet, gooey goodness of oven-broiled s'mores. A DVR'ed episode of Fixer Upper produced ohs, ahs, and girl bonding time as all six of us piled onto my bed to soak in the glory of realty re-dos. So yeah, it wasn't just another birthday. It was a day to be remembered. A day to be cherished. A day to relive over and over again. Thank you, my little Shindigglers. Tough but tender. Serious but silly. Centered but just a tad to the right of crazy. The training was in the bag. Test time was moments away. But in the darkness of the frigid morn, I couldn't find The Shindigglers. Where were they? How hard could it be to find my five favorite girls? Still, among the nearly 250 runners plus volunteers and onlookers, they remained illusive until the waning moments before take-off time. There was no time for even the briefest version of my pre-planned, pre-race advise and encouragement. No pre-race pictures to compare to post-race later on. Brief hugs had to do. 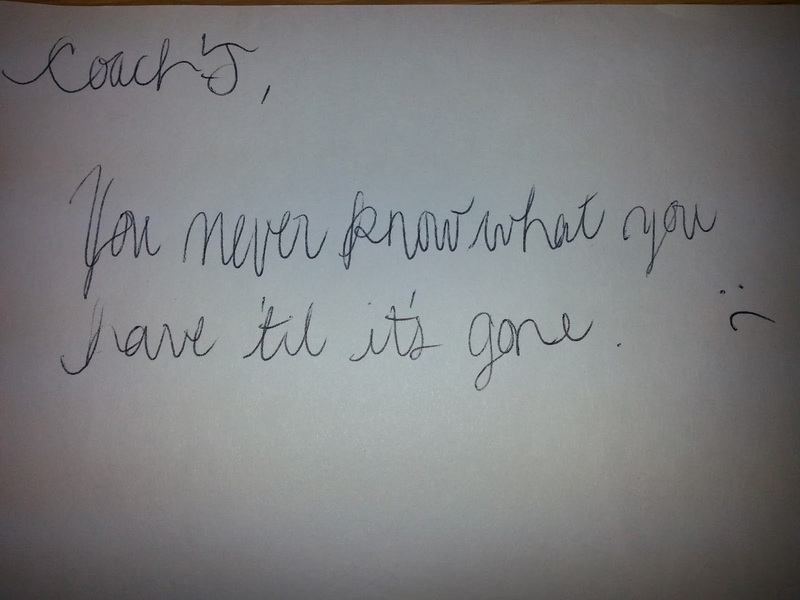 And at the last minute, a note was slipped into my hand. "Coach T. Read this when the going gets tough." I didn't have the heart to tell them I didn't put my contacts in. 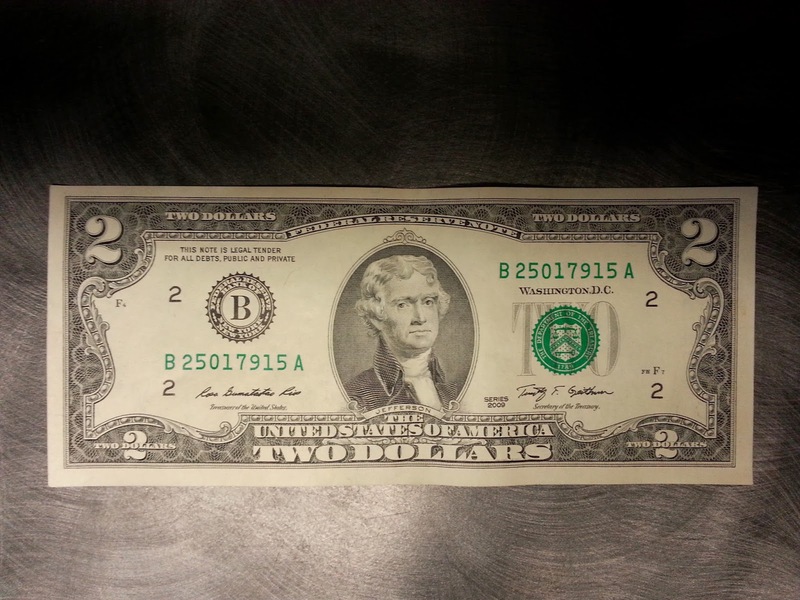 Still, I slipped it in my pocket and purposed to read it in the aftermath. This was my tenth running of the race, the last version in 2008. 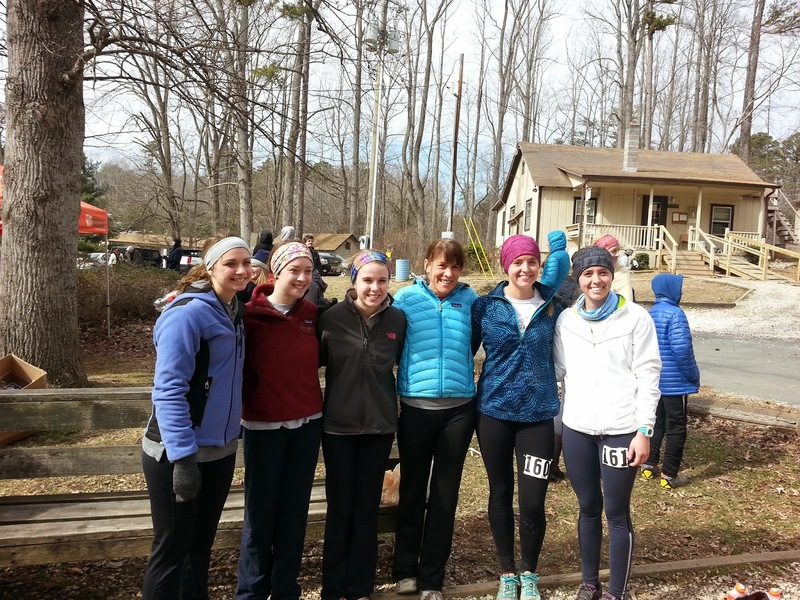 For four of the five girls, this was their first long race. The fifth was more experienced with about 5 ultras under her belt. When I began coaching four of these five kids five years ago, I heard some parents were fearful they would turn into ultrarunners. I guess they were right to be concerned. This race, a reverse double loop course, allows a runner to see all the other runners coming or going. I chased Sarah for the first loop, catching glimpses of her blue jacket just ahead of me. She didn't know I lurked until she spotted me through the trees on a hairpin turn. She waved and politely smiled. And then she ran faster. Despite the pleasant surprise of steady and strong running on my part, I chased her from behind the rest of the day. She beat me to the line by about seven minutes. We might need to discuss whether or not this is the proper level of respect for her elder. The other four, taking a more conservative approach, ran behind me. Abby and Kendal looked like they were having fun. Rebecca was not. IT band pain produced tears at the turn-around point. But quit? Never, no never! 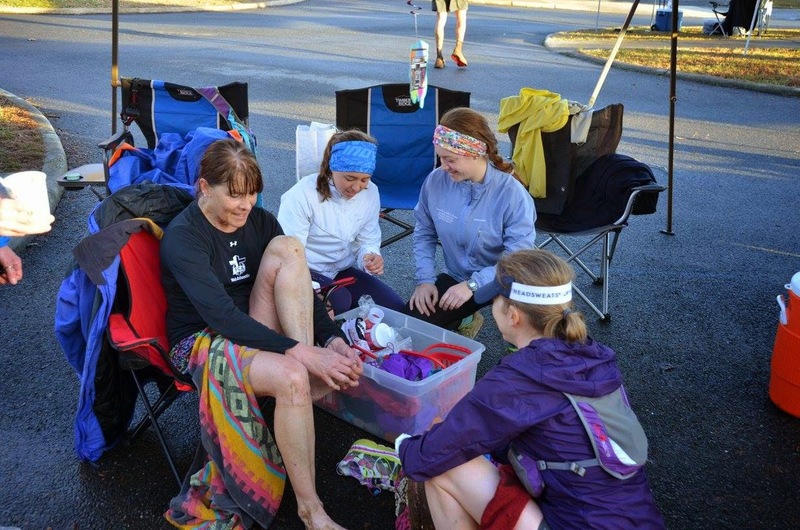 Caroline, her sister, took to her side, offered encouragement, and led them through the finish line as sisters united. Six Shindiggler starts. Six Shindiggler finishes. It was a very good day. It was a test passed with flying colors. And that note? They carried a copy as well. It was what inspired them. . .and that inspires me. Did they ace the test or barely skim by? They aced it absolutely and in so many ways! Second test is scheduled for March 21. Stay tuned and Shindiggle on. Postscript: On a number of our Shindiggler events, we've allowed a boy to go. Ben, (or is it Sam? ), is a welcome member of our training runs. But sorry, Whipped Puppy Boy, (I think he's in love with an certain Shindiggler), you have to possess two X chromosomes to be a true Shindiggler. Nothing personal. We still like you. Photo credit on the finish line pictures goes to Martha Wright. Thanks!